This issue of Ready PartnersHelp takes a look at Promise Grants, The Dropout Prevention Fund and Changing Communities. This e-newsletter from the Forum for Youth Investment shares the great work, tools and resources of our committed Ready by 21® National Partners and allies to a wider audience of leaders around the country. Communities seeking federal Promise Neighborhood grants can get help from a new guide produced by the Forum for Youth Investment. to fully align your grant application with the Ready by 21 approach. In particular, the Ready by 21 Insulated Pipeline and the 4 Building Blocks for Community Change speak directly to application requirements in Planning Grant Priority 1, paragraph (2) and paragraph (4). The application deadline is Sept. 6. America's Promise Alliance has launched a new philanthropic fund focused on solving the nation's high school dropout crisis. The Grad Nation Community Impact Fund will provide grants to stimulate community engagement and investment to help transform the nation's lowest-performing schools and surrounding communities. The Grad Nation Fund is part of America's Promise Alliance's larger Grad Nation Campaign, a 10-year initiative to mobilize all Americans to end the dropout crisis and prepare young people for college and the 21st century workforce. The Grad Nation Fund will raise $50 million to support this effort. A total of $1.5 million in pledges have been secured so far. Looking to reach your goals related to youth and education? Communities across America are convening this week in Louisville to discuss how to do just that. The Communities for Change Symposium will provide local leaders with a better understanding about how to connect and mobilize community resources to track and manage change over time. Community advocates, business and nonprofit leaders, policymakers, local government officials and school administrators are meeting to talk about using management information systems to create community change. The event is hosted by nFocus Software in partnership with Metro United Way, Jefferson County Public Schools and the City of Louisville. For communities wishing to be named an All-America City this year, reading will be fundamental. The National Civic League's All America City award (founded in 1949) will focus on efforts to increase the number of low-income children reading on grade level by the end of third grade. A Civic League announcement says the award will recognize community solutions in three areas "that have real potential to drive improvements in grade-level reading": school readiness, attendance and summer learning. The League is joining forces with the Campaign for Grade-Level Reading, with support from the Annie E. Casey Foundation and other funders. United Way Worldwide and the National League of Cities have partnered with the Civic League to jointly promote the effort. The All-America City Award recognizes exemplary grassroots community problem-solving and is awarded to communities that collaboratively tackle challenges and achieve results. Apply as a neighborhood, village, town, city, county or region. The application is now available. Communities across the country are forming leadership bodies to help improve outcomes for youth. But one group of stakeholders, the youth-serving sector, is often the least organized and least systematically represented of all. To help, the National Collaboration for Youth has created Invitation to the Big Picture: Implementing a Local Collaboration for Youth in Your Community, a guide to identifying or forming an association of local child- and youth-serving agencies. Please use and share this guide with your national and local networks. Much needs to be done to ensure that all children have the opportunities necessary to be ready by 21, especially in these budget-cutting times. The Learning First Alliance, a partnership of 16 national education associations representing more than 10 million parents, educators and policymakers, has named American Association of School Administrators (AASA) Executive Director Dan Domenech as chair of its board of directors. 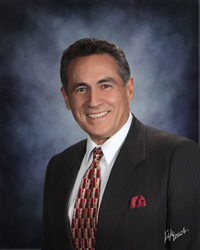 Domenech has served as the executive director of AASA since July 2008 and has more than 36 years of experience in public education, including 27 years as a school superintendent. Domenech began his career teaching in New York City. His positions in public education include program director for the Nassau Board of Cooperative Educational Services, superintendent of schools for Long Island's Deer Park and South Huntington School Districts, district superintendent of the Second Supervisory District of Suffolk County and chief executive officer of the Western Suffolk BOCES. Most recently, Domenech served as senior vice president for National Urban Markets with McGraw-Hill Education and served for seven years as superintendent of the Fairfax County, Va., public schools, the 12th largest school system in the nation (168,000 students). Ready by 21 is a set of innovative strategies developed by the Forum for Youth Investment that helps communities improve the odds that all children and youth will be ready for college, work and life.